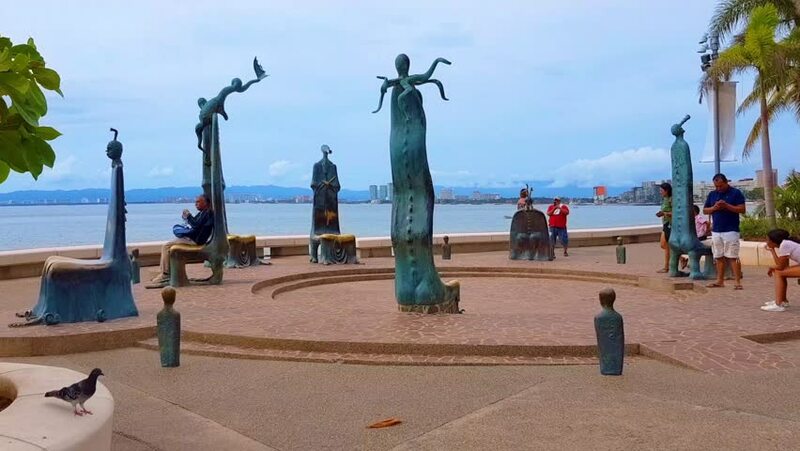 Puerto Vallarta, Jalisco, Mexico - October 25, 2018: Traveling in front of the bronze sculptures group "La Rotonda del Mar" (The Roundabout of the Sea) on the Puerto Vallarta seawall. hd00:15SEVASTOPOL, RUSSIA. 19 SEPTEMBER 2014: Sevastopol embankment. Crimea. hd00:20Peru July 26 2018 Panorama of Main Square of Trujillo town. Meeting point of inhabitants and toursist. 4k00:12WHITBY, ENGLAND - JUNE 10: Tourists visiting Whitby's West Pier and lighthouse on a sunny day in summer. In Whitby, England. On 10th June 2018. 4k00:16OHRID, MACEDONIA, JUNE 2015: Everyday scene from Ohrid city of Macedonia which is famous for its unesco listed historical center and beautiful lake separating Macedonia from Albania.